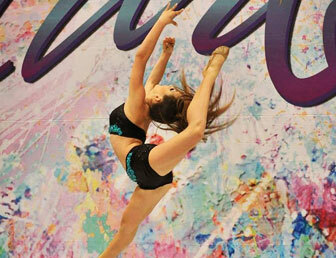 Dance Studio Palm Beach Gardens: Welcome to Dance Obsession! Welcome! Our name might just give it away, but here at Dance Obsession, we are OBSESSED with everything dance, and love to spread that enthusiasm to aspiring dancers in the Palm Beach Gardens community. We believe that dance is not only a freeing way in which to outwardly express one’s emotions in life, but it also instills important life lessons and skills. Ballet can teach poise, grace, and dedication; competitive dance teaches teamwork and courage; and hip-hop requires coordination and aerobic skills. But there is one thing that our dance studio believes in above all else; dancing is fun! It is our goal to not only teach your children the fundamentals of dance, but also the way its lessons can branch out into everyday life. If your child is interested in learning how to dance, or wants to learn from the best, our team of experienced dance professionals are ready and excited to teach or train your little dancer. We proudly offer the best in all classes dance, but to start, here’s a short list of the classes we provide. If you would like to learn more, be sure to browse through all of the classes that we have. Ballet- Before undertaking any type of formal dance training, any serious or enthusiastic dancer learns ballet. Considered the foundation of all forms of dance, ballet not only teaches balance, coordination, and poise, but also gives the children vital lessons in following instructions while having fun. Our classes range from beginners to advanced ballet/point. Be sure to check our schedule here. Hip-Hop- A favorite of incoming students, hip hop dancing is a lot more intricate than the popular fads online such as “dabbing”. Hip hop dance requires dancers to feel the rhythm of the music and have their bodies express the beat. It also improves flexibility, coordination, is a great exercise, and is a blast! Here are the days we offer hip hop classes. Tap Dancing- While it might just seem like a good time (although it is fun) tap dancing is actually much more complex than some may think. Tap requires dancers to use their muscle and mental memories together in order to connect mind with feet. Great for improving self-confidence and cardiovascular health, sign your child up for tap classes today! Expressive Dance- For the little ones interested in dance, we recommend our expressive dance classes. This class combines the basics of ballet and tap with creativity and props. These classes, intended for dancers aged 2-3, are not only fun for the children, but will put a smile on the face of any parent watching. Tumbling- Dancing is connected to many sports (even football players take ballet classes to improve their flexibility and agility) but might have the closest relationship to gymnastics. In our tumbling class, students will learn skills such as handstands, cartwheels, round-offs, and more. Not only is this class fun for the kids, but also helps with their flexibility and gymnastic skills. Classes are offered Wednesday at 4:30 p.m. for ages 5-8, and Thursday at 5:40 p.m. for children over the age of 9. Mommy and Me- Maybe the cutest class we offer, “Mommy and Me” gives children from the ages of 1.5 to 2 years old the ability to learn the absolute basics of ballet and tap while also given the comfort of having their parents involved. These classes are on Saturday from 9:15 a.m. to 10 a.m. and are a great opportunity for you to bond with your child and have a few laughs. Competitive Team- For any dancing enthusiast from the ages of 5 to 17 ready to fully commit and truly take their training to a whole nother level, we hold auditions every summer for our competitive team. While we only accept those that have a certain level of skills and determination, those that join our team will receive top notch dance training while also meeting new people and experiencing the realm of competitive dancing. Not to brag, okay maybe a little, but our team has also won multiple awards and have had several regional title holders. If your child is ready competition, be sure to contact us today to find out more about auditions. One of our favorite things about dance, aside from the fun of course, is the amount of skills and lessons it teaches. Children in our classes will learn how to interact in a class environment while also learning important dance methods and the ability to follow instructions. Not only will your child walk out of our classes with a better understanding of dance, but a better understanding of life. Maybe they can teach you parents a thing or two as well! With a team of dedicated and learned instructors, our dance studio in Palm Beach Gardens is excited to have your family join ours and get obsessed with dance.